Magento is an e-commerce software that is available in three different versions. They are Magento Go, Magento Enterprise Edition and magento community edition. Of these three only the Magento Community edition is available for a free download while the other two come at a cost. Magento Admin PanelThe Magento Community Edition is targeted at Magento web developers who have knowledge of PHP programming and aware about the requirements of setting up a new Magento shopping cart. If you require a new Magento shopping cart and need for it to have your own customized design then you are better off opting for the Magento Community Edition and hiring a Magento web development company like Alakmalak to do the job. 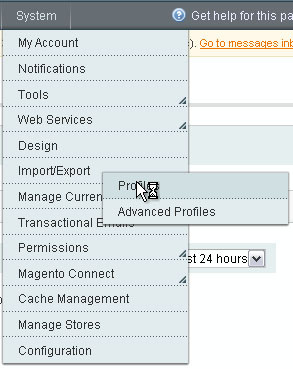 Add New ProfileMagento has several good features amongst which, the import / export feature is very useful. Consider the fact that you have an existing store with great many products and now suddenly have the need to update the price of all the hundreds of products that you have in the store. Doing this from the admin section would mean editing every product via the admin panel, changing the value and then saving each product’s record. This can be quite a cumbersome task, not to mention time consuming. 3. Here you need to select the entity type which would be products and export file format would be CSV. After making the selection you need to hit the continue button to export the products into a CSV file format. 4. This CSV file thus produced is readable in Excel for example. In fact it can be imported into Excel, where you can make the changes in the price without needing constantly refresh the screen with a submit button. Moreover it is offline and hence faster. 5. 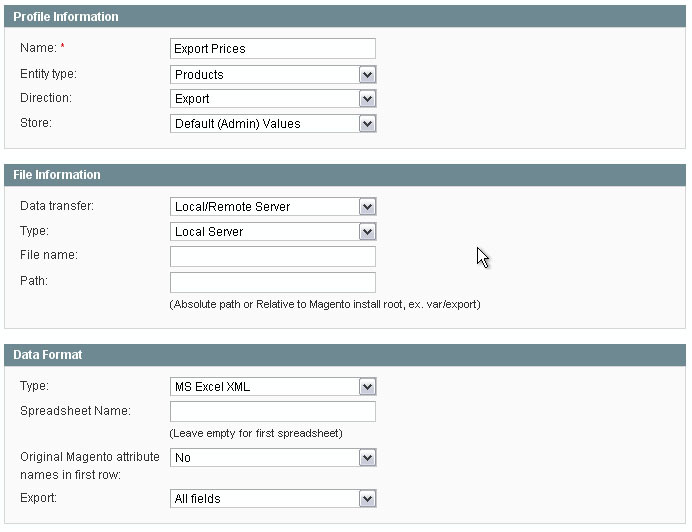 Once updated the CSV file can then be uploaded back to the Magento server. To do this once again go to the admin menu like System Import. 7. Here you need to once again select the entity type as products and choose to replace the existing data and upload your CSV file. How to Customize the WordPress Admin to Your Needs?